I wish it was possible to make this all move faster. International adoption seems to take forever! But we’ve had a lot of people ask us similar questions, so I thought I’d answer them here, and let you all know how we’re doing. First, where are we in the process?! There are about 4 major hurdles to getting our new son home, and they all have lots of little hurdles included in each step. The first one is getting a homestudy completed and accepted. Since our international agency is not in our state, we are actually working with two agencies – one for our homestudy, and one for the rest of the adoption. The homestudy is basically a giant report on your family done by a social worker who makes several trips to your home. It also involves lots of paperwork, fingerprinting, clearances by any states you’ve lived in since age 18, fire inspection of your home, etc., etc., etc. It’s a gift that keeps on giving. 🙂 We’ve finished everything for our homestudy, and just last week we got the final clearance we’d been waiting for, so we are thrilled that that came in. So, right now we are in a review phase where our international agency is reviewing the homestudy. Then our state agency will review and then we can move to major hurdle 2. The next step is getting approval from the US government to bring a child home from another country. This is USCIS approval. We’ve got all our paperwork ready and sitting on my desk for this one, so the second that approved homestudy hits my desk, we will send it out! Normally we’ve heard this can take anywhere from 45-90 days (although a few people have told me as soon as 2 weeks, so here’s hoping!). We have a letter of medical expedite for him because he really needs to get back here for heart surgery, so we’re hoping that will speed things along. After US approval, we need to get approval from the Chinese government. This involves a pretty insane amount of extra paperwork, and we submit a full dossier on our family to China. This is also usually 45-90 days, but again, sometimes for medical expedite, it goes faster. We’ve almost got all our paperwork done for this already, and I’m planning to finish it while we’re waiting for the US government so again, it can go flying off as soon as we hear. All that said, at the earliest we are looking at Christmas. And it may be as late as May, although we’re praying not. We will be in China about 3 weeks and will meet him about 3 days into the process. After we meet him, we adopt him and he will stay with us for the remainder of the trip. 1) Does he speak English? No. We hope someone might be able to help him with this a little before we come, but aren’t expecting much. 2) Do you speak Chinese? Nope. But I have an app! Seriously, it is a super hard language. We’re trying to learn a little, but mostly we’ve heard the kids pick English up fast. And I have 3 good friends who are Chinese and all can speak Mandarin, so I am thanking God for friends! 3) Does he know about you yet? We don’t know. They may have told him when we got our pre-approval, but they may also wait until we get final approval from China. They don’t want to get the kids’ hopes up if something were to fall through. We hope they are already preparing him, and we’ve been praying that either way, God will be preparing his heart to come and protecting him while we wait. 4) Can you communicate with him? Not really, but hopefully some soon. When we get our dossier into China, we will be able to send him a care package, and will be able to include a photo album labeled for him about our family and his new home and school, etc., and a letter. I’m hoping we’ll also be able to send him a video, but we aren’t sure about that yet. 5) Will he be covered by your insurance, aka, how will you pay for his surgery/ heart care? We love that people are worried about this for us – you all are sweet. Yes, he’s covered from the day we bring him home. We have a high deductible plan, so yes, it will cost us quite a bit of money every year out of pocket, but after that he is totally covered and we are just trying to budget that into our lives from today forward. We know that God will provide what he needs and what we need, and are very thankful for the insurance we have. Other questions? Comment below, it’s open season! And I’ll keep updating the journey here as we go. This entry was posted on Monday, August 10th, 2015 at 1:44 am	and is filed under News. You can follow any responses to this entry through the RSS 2.0 feed. You can leave a response, or trackback from your own site. I gave you and your beautiful family a tour of the Joni and Friends International Disability Center, in Agoura Hills, a couple of years ago. You sang in our Chapel, which is something I will never forget! Congratulations on the adoption of this sweet little Chinese boy! What an exciting blessing! I will pray for a relatively smooth and swift process for you and for God’s Hand on your new little guy. Thank you, Brenda, we so appreciate the prayers! Thank you so much, Kathy, and we had a wonderful time with you! Hopefully our paths will cross again one of these days. Thank you for your prayers! Dear Jennifer and family. I am praying that you have this sweet boy by Christmas. I realize that is a tall order, but we have a pretty tall God whose got the whole world in His hands. I trust God’s timing in all this. I pray also that the heart of this little boy has a wring of fire wrapping it, healing it, sealing it for the day our LORD is revealed to Him and Jesus gets invited in. I also believe that any communications concerns you have will be overcome quickly as you will communicate spirit to spirit, heart to heart. I read in Dr. Eber Alexander III’s book, “Proof of Heaven”, that in heaven the communication is without words…..just thoughts answered by thoughts. It makes perfect sense to me. Kyli and I communicated with thoughts, spirit to spirit, as she never spoke a word. It is how we hear the LORD’s voice. I believe you will have a form of communication by the spirit that is deeper than any words or language can be. In time the words will come, but the language of love is understood in the heart and it is sufficient. We are looking forward to updates. May God bless you, your precious family, and your ministry. Thank you, Jodi, we are praying for Christmas too, and I so appreciate your prayers! I love your thoughts on communication, and I saw how you communicated with Kyli – it was beautiful. We are so blessed by your continuing love and support! 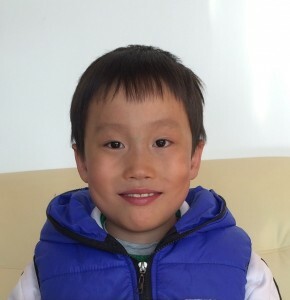 I am writing to you because of the email I received from you about the adoption of the little boy from China. This morning I asked our Tuesday morning Ladies Bible study if they would like to make a donation to you for the child’s medical expenses. I have a check for you if you can give me an address or box number to send it to. You might remember our church in St Clairsville. You came twice for our ladies retreat. Hi, Nancy, wow, that is incredibly kind of you! I appreciate that so much! Our mailing address is PO Box 340773, Columbus, OH 43234. I’ll also shoot you an email with that just in case. Of course I remember you all! How many women’s retreats have I done in a Level 2 Snow Emergency?! 🙂 Seriously, I’ve loved being with your church, and think so kindly of all of you!